How to build Table components – How can we help you today? Overview The Table component is the most flexible visualization in Klipfolio, and can be used to display raw values, mini-charts (like sparklines), indicator images, and more. 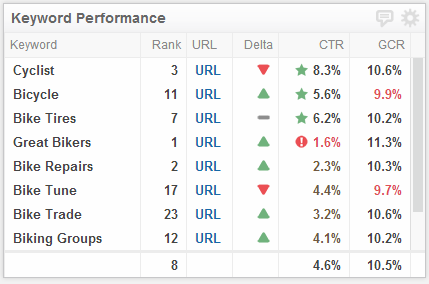 Each column in the table can be customized to display data exactly how you want. Important: for performance reasons the number of rows displayed on the dashboard is limited to 200. 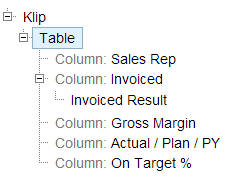 This is an example of the structure of the Table component with a custom results row. This section provides examples of different ways to use the Table component. Applying indicators to any column in your Table component can help provide additional context for the value being displayed. You can use the Indicators panel to change the color of values, assign an icon to the value, or color the background of cells to create a heatmap..
Set up a reaction (eg: then change the colour to green). 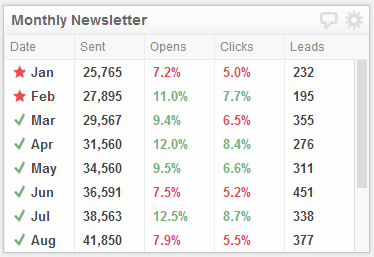 Results rows can be used at the bottom of any column to provide additional insight. Results rows can use one of six mathematical functions (SUM, AVERAGE, COUNT, MIN, MAX) or use a custom equation. The image below shows three results rows that use the AVERAGE function. Select the Column component to which you want to add a results row. 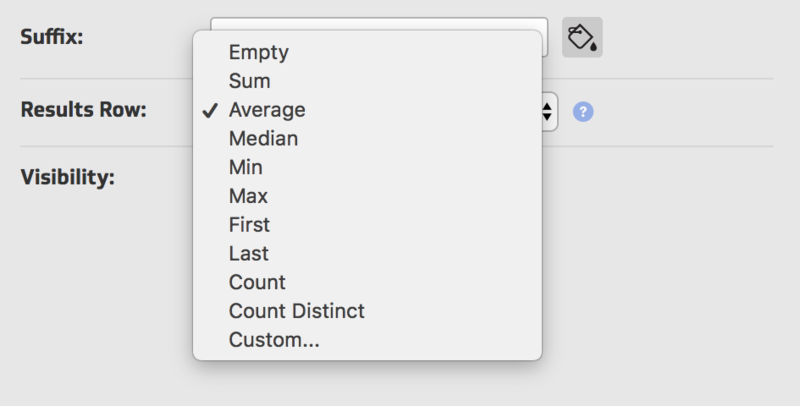 Select one of the math options from the Results Row menu. Select the Custom option from the Results Row menu. A new sub-component is added to your column in the tree. Select the Results Row sub-component. Assign data to it as you would a column component. Optional: Apply indicators and adjust properties as needed. Optional: Rename by right clicking on the custom result row in the component tree. The mini-chart format lets you show spark lines, spark bars, win/loss charts, and bullet charts in your table's columns. It's important to note that in order to use a series of values for use in the mini-chart format, they need to be formatted as a comma separated list. This can be accomplished using either the ARRAY and JOIN functions or the CONCAT function.